This Agreement constitutes the entire and only agreement between you and us and supersedes all prior or contemporaneous agreements. We may amend this Agreement at any time. The latest agreement will be posted on the site, and you should review this Agreement prior to using the site. You must be 21 years old or more. The User has lawfully obtained the prescription from duly qualified medical practitioner and that the Medication will be used only as directed and only by the person for whom the Medications were prescribed and that the duty of care is the responsibility of the User’s Doctor. The user agrees that the physician shall not be liable for any liability, claim, loss, damage or expense of any kind or nature caused directly or indirectly by any inadequacy or unsuitability of any prescription issued by the physician or the inadequacy, deficiency or unsuitability of the physician’s review of the user’s medical information. In no event will the physician be liable or responsible for any damages whatsoever, including, direct, indirect, punitive, special or consequential damages, even if advised of the possibility thereof. All products and accessories sold on the site, have expiration dates printed. If you receive products or accessories with an expired date, do not use them and contact us immediately. We make no exchanges, no recovery or warranty, express or implied, of any kind with respect to products sold. Payment is made by bank transfer, WU or MG (ATM or CB) and by credit card. Orders can not become effective until receipt of full payment. The currency used for the transaction is the Euro. The amount debited from the account of the credit card used will depend on the Euro rate at the day of discharge and any exchange costs charged by the bank issuing the card. Once the order is confirmed, you will receive an electronic invoice, which will include; your order number, order details, username and password (that you choose). Your username and password will allow you to check the status of your order. 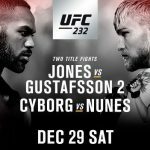 The site does not encourage to possess, or attempt to obtain anabolic steroids or other controlled substances and cannot be held responsible for the actions of the spectators and customers. The descriptions and opinions offered in this site are not medical suggestions or advice but are generally based on speculative and subjective values. Each user before taking these drugs should always first consult a licensed physician. Each user must know and understand that abusive and uncontrolled use can cause damaging and permanent side effects. We disagree vigorously the administration of pharmaceuticals to minors. The website assumes no responsibility for the use of the products it provides. The materials on this website (and on sites linked to this site) is for informational purposes only and is not intended to promote or support the taking of anabolic / androgenic steroids and other drugs. Eager to protect your privacy, the site handles all your information with the utmost confidentiality. The website assumes no responsibility for the goods sent, this travels to the risks and dangers of the recipient. The site accepts no responsibility in the event of Customs seizure, all products are shipped in the full risk of the purchaser. If you do not receive the goods purchased in the following days 30 the date, on which you ordered them you must notify Customer Service by email at our contact address in 40 days. The site delivers the ordered products to the address specified when placing your order in the « delivery address » tab. The site normally delivers your products in 5 to 12 days, but a delay in delivery can sometimes occur. This delay is beyond our control. All the time we provide you for the delivery is approximate only and we shall not be liable for any loss, costs, damages, costs or expenses caused by any delay in delivery of products. Our site may make the decision to postpone the shipment of an order if external events forced us there. A sending report does not exceed 15 days. Once sent you become the owner of the products you ordered. Once the products sent, we no longer have any liability for any loss, damage which seized the goods. The ordered goods are not returnable. The customer acknowledges order these products under its full responsibility. Under no circumstances will the site be liable for any legal ramifications that may arise as a result of an order on the website. If the products are seized by customs, the customer has a period of 9 days after the seizure to inform us. The site accepts no responsibility in case of customs seizure, unless you subscribed to our insurance and if there was a valid medical prescription. The site takes no responsibility for loss or destruction of your package by customs. If customs seizure, you must return within 10 days after the seizure, the official proof of your package by customs seizure (mail sent by the customs administration). Conditions applicable to our Express shipments. No merchandise will be accepted without reference original and official proof of entry and / or destruction of the package by customs. This condition is not in any case be changed. Transportation costs as part of a return products damaged / broken / seized during the delivery remains at the customer. The site will not realize any approach to the customs and / or transport companies for research, monitoring, status or location of the parcel. The information provided on this site is for general informational and educational purposes. Certain sections of this Web site are intended for particular audiences including Top-steroids-online’s directors, employees, customers and shareholders, as well as members of the health care community and the general public. Your access to and use of the information contained in the Web site is subject to this Terms & Conditions Agreement. By accessing and using this Web site, you accept, without limitation or qualification, this Terms & Conditions Agreement. 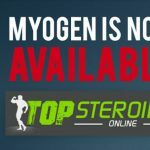 Top-steroids-online will use reasonable efforts to include accurate and up-to-date information on this Web site but makes no warranties or representations of any kind as to its accuracy, currency or completeness. You agree that access to and use of this Web site and the content thereof is at your own risk. 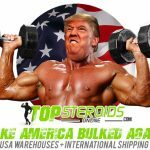 Top-steroids-online disclaims all warranties, express or implied, including warranties of merchantability or fitness for a particular purpose. Neither Top-steroids-online nor any party involved in creating, producing or delivering this Web site shall be liable for any damages, including without limitation, direct, incidental, consequential, indirect or punitive damages, arising out of access to, use of or inability to use this Web site, or any errors or omissions in the content thereof. This limitation includes damages to, or for any viruses that infect your computer equipment. You agree to indemnify, defend and hold harmless Top-steroids-online, its officers, directors, shareholders, employees, agents, suppliers and third party partners from and against all liability, damages, losses, costs, or expenses including attorneys’ fees and expenses incurred in connection with any claim related to (a) your breach of any term, condition, representation, warranty, or covenant in this Agreement; or (b) the information you supply to Top-steroids-online or make available to any third party, including your registration data and the content of the web pages corresponding to the URLs you submit to Top-steroids-online. Also resulting from any violation by you of these Terms & Conditions. A, This Order may be cited as the Medicines (Prescription Only) Order. « sell » means sell by retail as defined in section 2 (2) of the Act and “sale” has a corresponding meaning; « supply » means supply in circumstances corresponding to retail sale as defined in section 2 (2) of the Act. « w/w » for weight in weight; « v/w » for volume in weight; « v/v » for volume in volume. For the purposes of section 29 of the Act (medicinal products on prescription only), doctors, dentists and veterinary surgeons shall be appropriate practitioners in relation to all prescription only medicines. Medicinal products on prescription only. Exemptions for limited sale or supply of prescription only medicines specified in Part II of First Schedule. the medicines is sole or supplied to a person who is of or above any minimum age specified in the fifth column of that Part of the First Schedule in respect of that medicine. Exemptions for emergency sale or supply. of the prescription only medicines listed in the second column of Part I or II, as the case may be, of the Second Schedule in relation to that person if and so long as the conditions specified in the corresponding paragraphs in the third column of Part I or II, as the case may be, of the Second Schedule are fulfilled. Notwithstanding sub-paragraph (1), the Minister may by writing, in any case if he thinks fit and subject to such conditions as he may impose, exempt any person from the restrictions imposed by section 29 (2) (a) of the Act (restrictions on sale and supply). The Minister may by writing, in any case if he thinks fit and subject to such conditions as he may impose, exempt any person from the restrictions imposed by section 29 (2) (b) of the Act (restrictions on administration). Exemptions for sale and supply in hospitals or licensed private hospitals. Exemptions provided in other written law. that sale, supply or administration of the controlled drug is made subject to such conditions and in such circumstances as may be specified in that exemption to the relevant written law. Exemptions in cases involving another’s default. Exemptions in cases of forged prescriptions. The restrictions imposed by section 29 (2) (a) of the Act (restrictions on sale and supply) shall not apply to the sale and supply of a prescription only medicine by a pharmacist in accordance with a forged prescription where the pharmacist, having exercised all due diligence, believes on reasonable grounds that the prescription is genuine. 12A. The restrictions imposed by section 29(2)(b) of the Act (restrictions on administration) shall not apply to the administration by any person listed in the first column of the Third Schedule of any prescription only medicine listed in the corresponding paragraph in the second column of that Schedule if and so long as the conditions specified in the corresponding paragraph in the third column of that Schedule are fulfilled. Relationship between this Order and other written laws. This Order is in addition to, and not in derogation of or substitution for, any other written law. 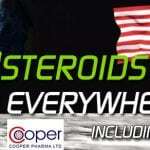 Top-Steroids-Online assumes no liability for the use of any products supplied. Liability rests with the purchaser to use products under the guidance of a licensed physician. Top-steroids-online respects the privacy of its Web site users. We take privacy seriously. When you visit our website, our servers collect some technical information about you (web browser type, IP address) and also track which pages you visit on our site we may also provide the information collected about you if, in cases of fraud or other criminal activities, we are subpoenaed to do so by competent legal authorities. The entire content of this Site is fully protected under all applicable intellectual laws. All product names, whether or not appearing in large print or with the trademark symbol, are trademarks of Top-steroids-online, its affiliates, related companies or its licensors or joint venture partners, unless otherwise noted. The use or misuse of these trademarks or any other materials, except as permitted herein, is expressly prohibited and may be in violation of copyright law, trademark law, the law of slander and libel, the law of privacy and publicity, and communications regulations and statutes. All copyright rights is the text, Wages, photographs, graphics, user interface, and other content provided on the Top-steroids-online Web Sites and the selection, coordination, and arrangement of such content, are caned by Top-steroids-online or its third-party licensors, to the full extent provided under the Copyright Act and all international copyright laws. Under applicable copyright laws, you are prohibited from copying, reproducing, modifying, distributing, displaying, performing or transmitting any of the contents of the Top-steroids-online Web Sites for any purposes. Top-steroids-online reserves the right to limit provision of its products or services to any person, geographic region or jurisdiction and/or to limit the quantities or any products or services we provide. Any offer for any product or service made on this Web site is void where prohibited. Top-Steroids-Online requires a valid prescription from its customers before the shipment. We do not sell or ship drugs to countries where selling drugs without prescription is illegal. If any provision of this Agreement is held to be unlawful, void or unenforceable, then such provision shall be severable without affecting the enforceability of all remaining provisions. Top-steroids-online reserves the right to alter or delete materials from this Web site at any time at its discretion. Top-steroids-online reserves the right a physical or electronic signature of the person authorized to act on behalf of the owner of an exclusive copyright that is allegedly infringed, in its sole discretion, to terminate your access to all or pad of the Web Sites, with or without notice.